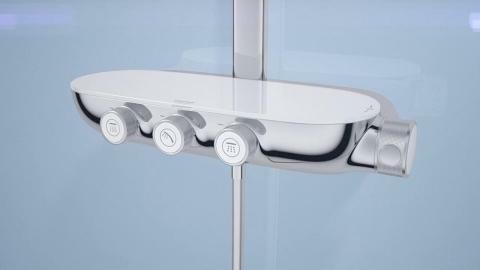 Designed to make a statement in your bathroom, GROHE SmartControl Exposed combines intuitive control with the ultimate shower pleasure. At the turn of a button, you can choose just the right volume and the ideal temperature. 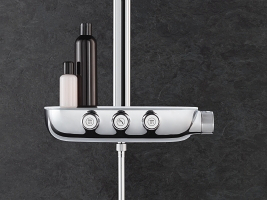 And at the push of a button, you can select the sprays that you wish to enjoy to create your individual shower experience. 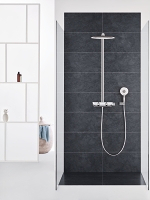 Flexibility best describes the reason for choosing the GROHE SmartControl combi shower system, which offers a range of different installation options and possible combinations. 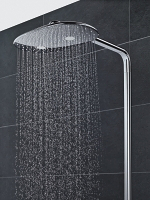 This means for example, that you are free to position the thermostat either vertically under the showerhead or, if you choose, away from the central axis – or even on one of the side walls of the shower. 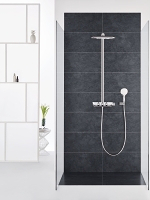 Flexibility also extends to the way you can combine the thermostat with other GROHE head, hand or body showers, creating your own personal shower experience. 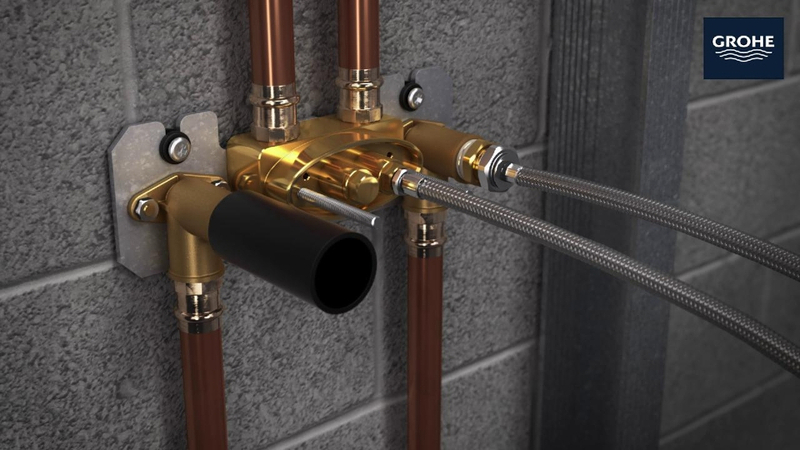 You also have the option of turning your bath into a shower – by combining the SmartControl thermostat with a bathtub inlet and a hand shower. 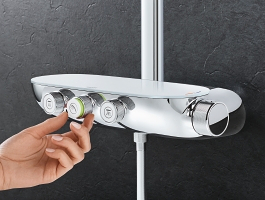 Like the GROHE SmartControl Exposed, the ‘excealed’ solution is also available in Duo and Mono versions and also offers shelf space for shampoo and shower gel. 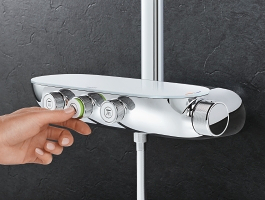 With the GROHE SmartControl Combi shower system, the piping runs within the wall, connecting the SmartControl thermostat and the head shower. 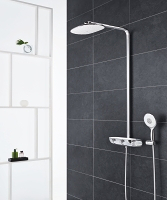 No shower rod means that cleaning is effortless – just one more of the pleasures you can expect from the GROHE SmartControl Combi shower system. 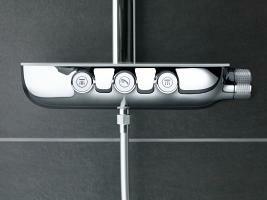 Smartcontrol Showers are made in Lahr, Germany.